Professional Document Systems will be exhibiting at the New Mexico Association of School Business Officials Winter Conference being held at the Embassy Suites in Albuquerque, NM. PDS holds three New Mexico Cooperative Educational Services Contracts, one for IT products and services, one for document imaging/conversion/scanning services and one for document management as well as a NM Statewide Price Agreement. PDS was a sponsor and exhibitor at the NMML NM GFOA Winter Conference at the Marriott Uptown in Albuquerque New Mexico. PDS holds three New Mexico Cooperative Educational Services Contracts, for IT products and services and for document imaging/conversion/scanning services along with a New Mexico Statewide Price agreement for ECM related services. PDS will be an exhibitor at NMML's Annual Conference being held at the Clovis Civic Center located in Clovis NM. PDS is a contract holder of multiple federal, state and local cooperative vehicles suited for your procurement ease including multiple GSA schedules, New Mexico State Price Agreement, NM Cooperative Educational Services contracts. 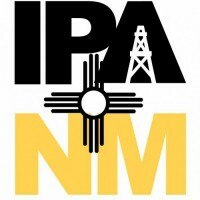 PDS will be a first time exhibitor at the IPA's annual conference taking place at Sandia Resort in Albuquerque NM. PDS is a contract holder of multiple federal, state and local cooperative vehicles suited for your procurement ease including multiple GSA schedules, New Mexico State Price Agreement, NM Cooperative Educational Services contracts.